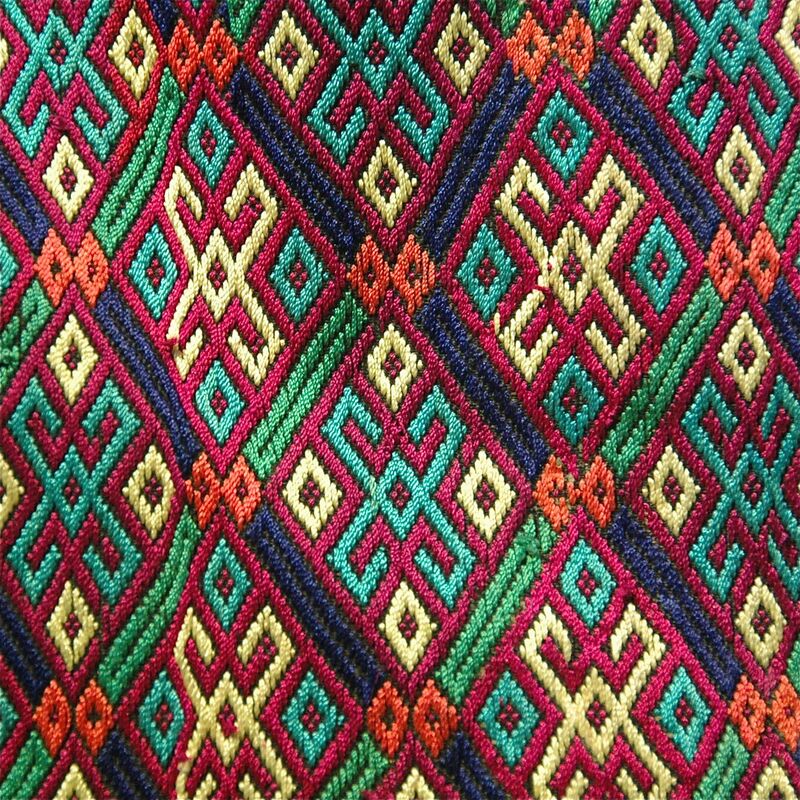 The term brocade to the Chinese denotes mostly brocades woven by the minorities in Guang Xi province, the Miao tribe, Dong tribe (Gaeml) and Yao tribe in particular. The characteristic of these brocades are their vibrant colour combination and interesting geometric designs. To achieve these means that they have to have several shuttles for different colour yarns and a special designed jacquard hand loom. During the Ming dynasty, these minority brocades were articles of royal appointment tribute. In the past, young girls by the age of 10 would have to start weaving a brocade of her own design and this would become her dowry for her wedding later on. Motifs of brocade mostly are cloud, water, fish, bird and floral. Brocades are used as quilt cover, wall hanging, cushion, head dress and belt etc. Brocade Samples are shown at the Mountain Folkcraft shop in the Something New Something Old exhibition with Soil.